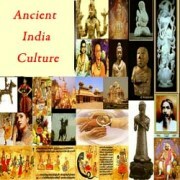 Ancient India CultureThe ancient Indian culture primarily rest on two ages, the Bronze Age and the Iron Age. While the Indus valley civilization belonged to the Bronze age, the Vedic civilization belongs to the Iron Age. The Indus civilization was marked by high degree of urbanization and had manifested urban culture, the Vedic civilization was agricultural based and symbolized rural culture.The main features of ancient culture can be gleaned from the developments of these two distinct civilizations. Archaeology is the only source of our knowledge for the Indus valley civilization. The culture of Indus civilization is located in the Indus Valley and western India and its urbanization is based on a chalcolithic system that was marked by absence of iron. The focal point of the Indus valley civilization remains the twin cities of Harappa and Mohenjo-daro and it is from these centres,the contours of Indus culture can be deduced. Indus society was peace loving city-dwellers and good planners as is evident by grid pattern towns, elaborate drainage system, street lights, kelp-burnt brick houses, fortifications, granaries, baths and wells. The Indus society had a very complex social stratification, division of labour and multiplicity of crafts and industries. Urbanism was the marked feature of Indus society. It was a society that enjoyed a settled and sedentary life, where the priest and the merchant played dominant role. The Indus society was the product of an available food surplus (wheat and barley), a fairly high level of craft industry and most important a vibrant commercial activity. The Indus society worshiped the cults of Sakti (mother Goddess) and Pasupati (Proto-Shiva) of animal-tree and stone of Phallus and Yoni, the fertility cult. They had veneration for bulls. They buried their dead. Light horse chariot The Indus society had an administrative organization. The uniform planning of the cities and presence of sanitary system, standard weights and measures, assembly halls, huge granaries and citadels,all points to the existence of a ruling authority. The Indus society made considerable progressin the works of art. The Indus sculpturethat survives today makes us construct the picture of the Indus culture. The sculpture of a bearded man from Mohenjo-daro and two sand stone statuettes from Harappa, gives us a vivid account of urban culture of the Indus valley civilization. Similarly the society’s vigour, variety and ingenuity can be gleaned from the bronze dancing girl and the ivory works, in terracotta figures of animals, birdsand humanand in their pottery painted red, black and at times glazed. The Indus society used a script where out of nearly 400 characters known to them only a few were repeated again. The inscription that has survived tells the prevalence of a high standard of urban culture. Rig Veda and PunjabThe information concerning the Vedic Aryans depends almost entirely from the literary texts, which were handed down by the oral tradition. The early Aryans did not fully emerge from the food-gathering and nomadic pastoral stage. They were dominated by war like stock and their way of life was nomad-pastoralists that practiced agriculture. The focal point of the early Vedic society was the Punjab and in the later Vedic period it shifted to the Doab of the Ganges and Jamuna rivers. The early period the Aryans were organized into a social organization which may be described as 'tribal' or rural' one with a minimal of division of labour and sedentariness. In the later Vedic period a more pronounced and increased division of labour with specialized trades and crafts appeared. In the later Vedic period the Aryan tribes consolidated into little kingdoms with capitals and rudimentary administrative system with important functionaries the Purohit and the twelve ratrins playing dominant role in support of the monarchy that became the prevalent form of government. In the Vedic society it was the Priests and the Kshtriya who constituted the ruling elite. Though there is little evidence in the Rig Veda of any special importance of the priests, in later Vedic society, the priests as a class assumed a form of institutional authority. The Aryans anthropomorphized most of the forces of nature and prayed to them as Indra, Varuna, Agni, Mitra, Rudra, Soma, Surya, and Asvins. Though female deities played a minor part in Vedic religion, in the later Vedic period the Aryans provided spouses to their gods. During the Yajur Veda period the worship of Phallus was recognized as an official ritual. The worship of Siva also gained increased importance during the later Vedic times. south indian cultureThe sacrificial cult was also practiced during the Vedic period. Oxen and bulls were sacrificed to the gods and their meat was eaten. But even then the slaughter of milk-producing cows was prohibited. Verses of the Rigveda refer to the cow as Devi (goddess), identified with Aditi (mother of the gods) herself. 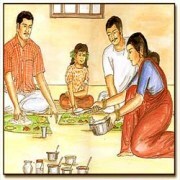 Even when meat-eating was permitted, the ancient Vedic scriptures encouraged vegetarianism. The Vedic society preferred outdoor amusements like chariot racing and hunting though dice was popular as indoor past time. 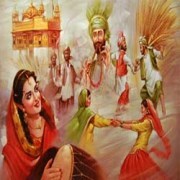 Playing music, singing and dancing were common practice. Among musical instruments Aryans had the drum, lute and flute with cymbals and the harp as later additions. The Aryan language in the Rig Veda reveals the ability of the Aryan mind to grasp the multiple dimensions of human life. The language exhibits immense potentialities and its vocabulary reveals that the community was full of exuberance. 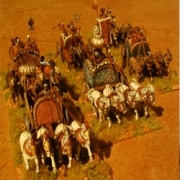 The superiority of the Aryans lay in the military field, in which their use of the light horse chariot played a prominent part. The early Aryans were not city builders, city buildings as a large-scale socio-economic activity is mentioned only in the later Vedic texts, epics and the Puranas. Later Vedic society centring on the Ganges Valley owes its gradual urbanization to iron technology, the widespread domestication of the horse and the extension and intensification of plough agriculture. The other manifestation of Aryan civilization, is, its capacity to change and adapt itself, has given continuity to Indian Civilization despite the absence of mighty empires.